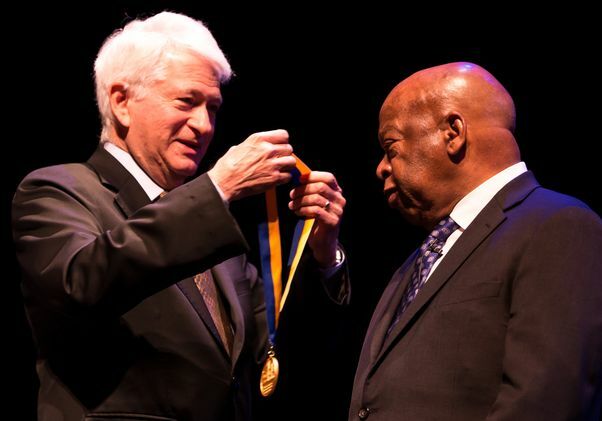 UCLA Chancellor Gene Block bestows the UCLA Medal on Congressman John Lewis. In a talk interrupted frequently by thunderous applause, standing ovations and laughter from the audience, Lewis vividly recalled from his childhood the warnings his family gave him to keep quiet when he questioned why black children had to sit in the balcony to watch movies at their local theater and why he was denied a library card when whites could borrow books from the local library. Lewis, the son of Alabama sharecroppers who has gone on to represent the people of Georgia in the House of Representatives for more than three decades, came to UCLA to deliver the fifth annual Winston C. Doby Distinguished Lecture and receive the UCLA Medal, the university’s highest honor, from Chancellor Gene Block for the congressman’s relentless fight for equality and social justice. Established in 1979, the medal is presented to those whose achievements reflect the highest ideals of UCLA. Among the heads of state, artists, scientists, scholars and leaders who have received this honor have been Presidents Bill Clinton and Jimmy Carter, Los Angeles Mayor Tom Bradley and UCLA’s legendary coach John Wooden. At almost every flashpoint in the fight for civil rights, Lewis was there, pushing the movement forward using nonviolent resistance — tactics he learned at the hands of the Rev. 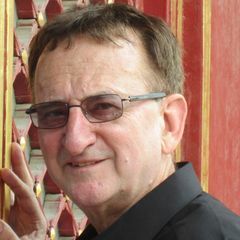 James Lawson Jr., who has taught these same techniques to UCLA students at the UCLA Labor Center. Praised by Lewis as an “unbelievable teacher,” Lawson, sitting in the audience, was given a standing ovation. Lewis organized demonstrations at segregated lunch counters in Tennessee and planned the historic March on Washington in 1963. The youngest speaker at that march, Lewis is now the only survivor among those who spoke. As a Freedom Rider, he was beaten bloody by angry mobs. In 1965, he also led protesters across the Edmund Pettus Bridge in Selma, Alabama, just before state troopers attacked the crowd. 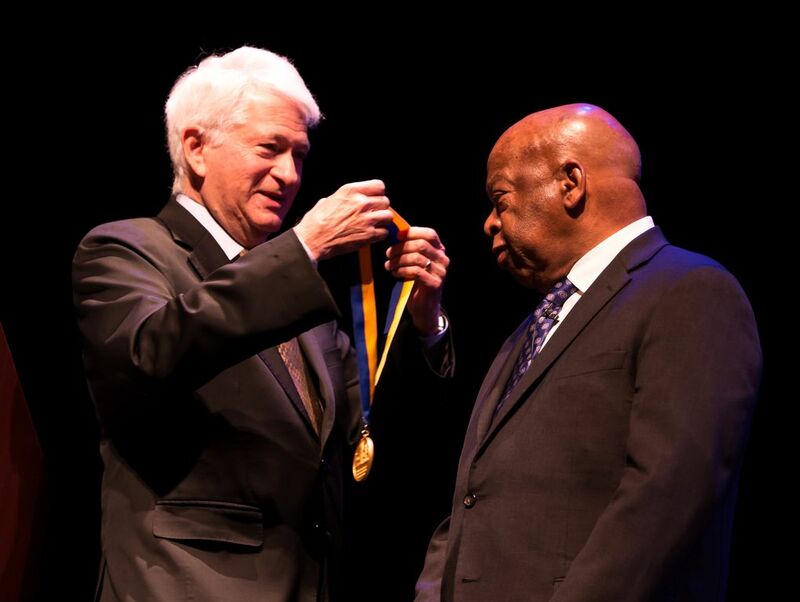 All told, he survived many beatings, incurring serious injuries, and was arrested 40 times during the civil rights era, he recalled, “and, since I entered Congress, another five times,” eliciting laughter. During his lecture, delivered with all the fervor and eloquence of a revival-tent preacher, Lewis recalled the first time he met with King as well as the lunch counter demonstrations when protesters were spit at and had cigarettes put out in their hair. He reminisced about the time when he bought a suit from a thrift store because he wanted “to look fresh” for his first arrest by police in Nashville, Tennessee. “It was a liberating feeling,” he recalled, smiling. 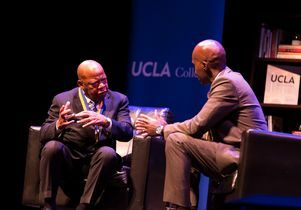 After delivering the Winston C. Doby Distinguished Lecture, John Lewis sat down with UCLA education professor Tyrone Howard. 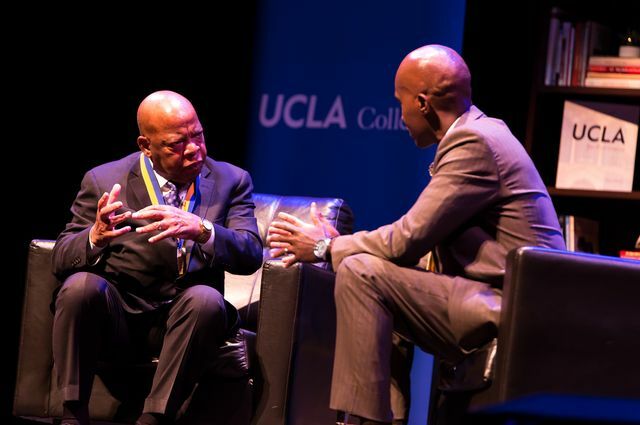 Later, in conversation with education professor Tyrone Howard, founder and executive director of the Black Male Institute at UCLA and the associate dean for equity, diversity and inclusion in the Graduate School of Education and Information Studies, Lewis recalled how he was on the campaign trail with Robert F. Kennedy in Los Angeles when Kennedy was assassinated, two months after King’s murder. “After what happened to Dr. King and Bobby Kennedy, I made up my mind that I would commit my life to public service,” he told Howard. Today, Lewis is still very much an activist on Capitol Hill and wherever he speaks. At UCLA, he talked about the devastating cuts being made to social programs, the arts, the National Institutes of Health and the Centers for Disease Control and Prevention. “It doesn’t make any sense for tens of thousands and millions of people, including young children, to be living in fear on this little piece of real estate we call America,” said Lewis, calling for comprehensive immigration reform. Despite all that’s happened, Lewis said he remains hopeful and very optimistic these troubled times shall pass. “As students, as young people, you must use your education and training to help change America. … You have a moral obligation, a mission and a mandate to speak up and speak out — and get in the way and get in trouble,” he said. “As we move to create an open society … as we move to redeem the soul of America, we all must be engaged,” he said. Established in 2013 by UCLA’s Academic Advancement Program, the sponsor of today’s event, the Doby lecture series honors AAP’s first director, Winston Doby (1940-2011) who served for more than 40 years as an advocate for access and social justice in higher education for all students.